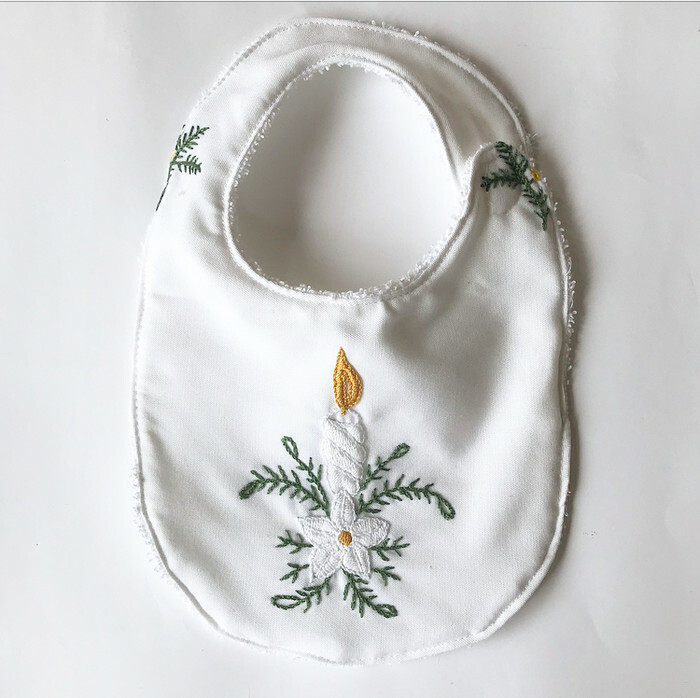 This beautifully embroidered candle bib is made from vintage embroidered fabric. The white candle and simple floral design is absolutely stunning and one of a kind! The simple but classic design is perfect as a baptism bib. Sized to fit size 6 months to 2 years. 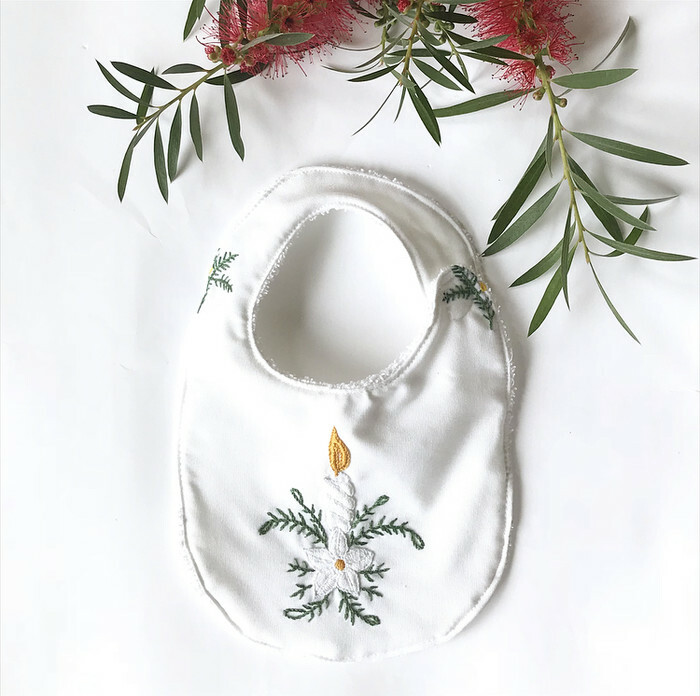 Perfect as a unique baby shower gift, baptism gift, Christmas outfit or present for environmentally conscious parents as the upcycled fabric is a sustainable choice. Please note this item is made from vintage fabric. We have checked and double checked and think it’s perfect but there is a chance we might have missed a small mark or fault in the fabric. This item is handmade from vintage fabric - an ethical, eco friendly and sustainable gift for your little loved one. The free post is untracked - you can also choose the sign on delivery option or if you prefer to add tracking, please PM me to arrange (additional $5 fee applies). Payment can be made either by PayPal or Direct Deposit. Items will be posted once payment has been received (direct deposits can take a few business days to clear so keep this in mind if you need items urgently).